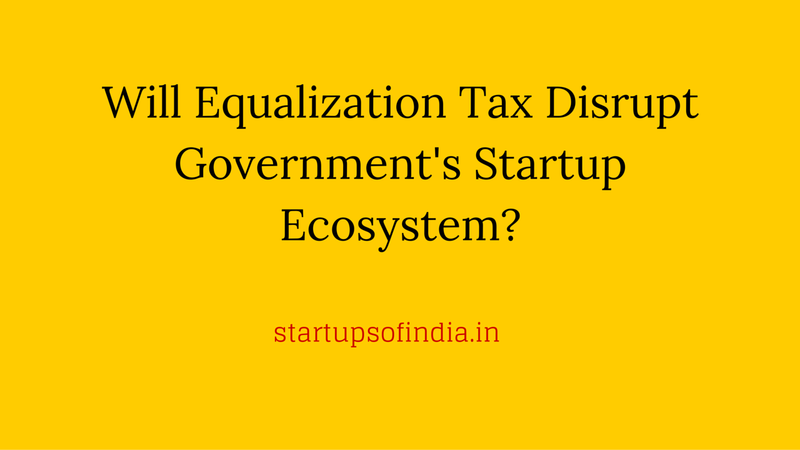 How Equalization Tax May Affect Startups In India ? 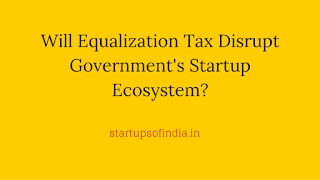 While there are many tax benefits to startups in Finance Bill 2016 , one new proposal of Equalization Tax in Finance Bill 2016 maybe undoing of some steam around the startup initiatives. The equalization tax concept , in this blogger's view , is fully in order to tackle the tax slippage as far as online commerce in form of advertisement and database related business is concerned . But , in present form , when on one side government is pushing a vision to create a culture of entrepreneurship among youth of India , this tax although imposed on non-resident entities earning advertisement revenue from Indian customers , for all practical purpose, may be paid by resident Indian enterprise or person only. In order to bring out a common law that catches the online giants like Google, Facebook , Twitter and others , the government had step a committee mostly from the Income Tax Department for formulating a way to tax the income generated by the online entities from internet based activities like online advertisement, database use,online services, hosting etc, Based on their recommendation , Government brought in legislation in form of levy of Equalization Tax on payments by residents of India to non-residents for online advertisement services. In simple terms , after 01/04/2016 ( after the Finance Bill 2016 gets President's assent and law is notified in Gazzette of India ) , every Indian resident paying to Non Resident for any kind of online advertisements , shall deduct the Equalization Tax @ 6 % of gross amount of payment and deposit with government . 163. (1) Every person, being a resident and carrying on business or profession or a non-resident Collection having a permanent establishment in India (here in this Chapter referred to as assessee) shall deduct the equalisation levy from the amount paid or payable to a non-resident in respect of the specified equalisation service at the rate specified in section 162, if the aggregate amount of consideration for specified service in a previous year exceeds one lakh rupees. (2) The equalisation levy so deducted during any calendar month in accordance with the provisions of sub-section (1) shall be paid by every assessee to the credit of the Central Government by the seventh day of the month immediately following the said calendar month. Since the startups are based on innovation, their idea needs promotion. Most of the startups will be depending upon the advertisement through online medium. Now in India , there is no advertising company even half of the size of Google , Facebook or Twitter . In such scenario, in most of the cases, the tax will be actually be paid by the startup only , because the startups being very small in size are not in position to bargain or force compliance to online adverting companies . In other words , the new law of deducting the tax and likely compliance for filing the tax deduction statement is seriously going to hurt the newly startups. Are there some relief with proposed equalization tax ? the equalization tax may not be deducted by a person ( include startup) who does not pay more than Rs 1 Lakh ( 100 thousands) to a non-resident for online advertising in a financial year. Second the TDS statement is also not be filed by the person who are not supposed to either maintain books of accounts or get his accounts audited ? Thsi blogger appeal to government that as the startups are given lots of tax incentives , there should be some examption for the startups from collection of equalization tax .